The report, titled “Connected Corporate Banking, Part 3: Digital Corporate Banking Solutions”, addresses three key research questions: why banks are investing in the said solutions, which vendors include them in their offering, and how the banks should approach vendor selection. We are mentioned in the document, among ten other vendors from around the world, and so is our product, Comarch Corporate Banking. 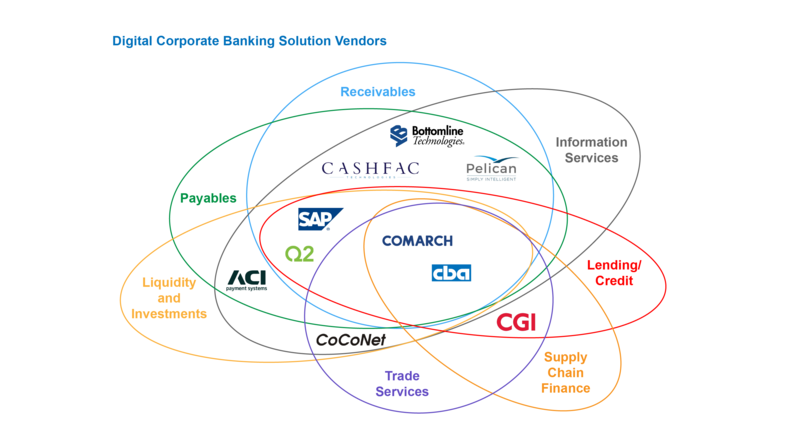 Celent’s analysis shows that Comarch Corporate Banking delivers functionality across several major segments: receivables, payables, liquidity and investments, trade services, supply chain finance, lending/credit, and information services. ‘For banks able to deliver comprehensive, tailored, and connected corporate banking products, the rewards can be substantial’, writes Patricia Hines, the report’s author. According to Celent, the corporate banking revenue pool is set to grow 4%, from $780 billion in 2016 to $915 billion in 2020.